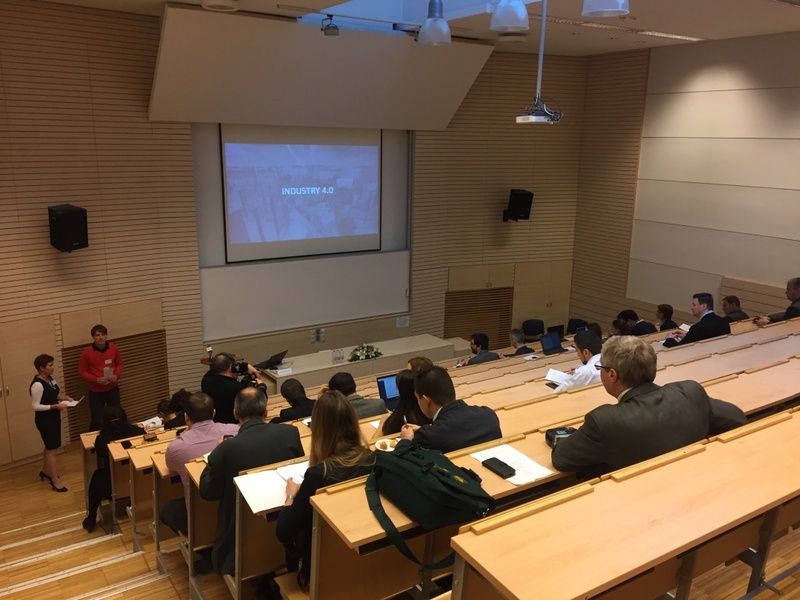 On Monday, 21th of November 2016 an international conference called „Society – ICT – Economy – Industry 4.0”, focused on digitalisation and its effect on the economy and society took place in Budapest, Hungary. Industry 4.0 describes the organisation of production processes based on technology and devices autonomously communicating with each other along the value chain: a model of the ‘smart’ factory of the future where computer-driven systems monitor physical processes, create a virtual copy of the physical world and make decentralised decisions based on self-organisation mechanisms. Industry 4.0 will only succeed if certain key requirements are met: standardisation of systems, platforms, protocols; changes in work organisation reflecting new business models; digital security and protection of know-how; availability of appropriately skilled workers; research and investment; and, a common EU legal framework to support the dissemination of Industry 4.0 in the Internal Market. If successfully implemented, the potential benefits of Industry 4.0 relate to productivity gains, revenue growth, and competitiveness. A key in succeeding with this strategy will be to integrate SMEs, who often operate on a regional basis, into global value chains. DEX Innovation Centre presented the Industry 4.0’s impacts on technological change and/or scaling up programs for SMEs. Mr. Kubalik presented main technological changes and impacts, main technological features, changes and impacts, Why Corporations need ICT SMEs or Start-Ups and last but not least How to scale-up ICT SME to supply for Industry 4.0.